This is the universal set consisting of 10 keys in total, this is the complete set of universal keys needed for common cylinders. 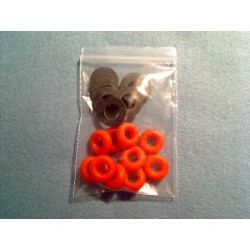 Universal 5 pin set consist of 3 keys, low, medium and high cuts. Universal 5 pin reversed set consist of 3 keys, low, medium and high cuts. 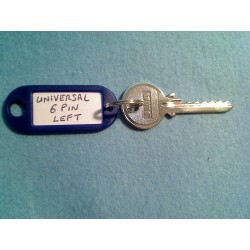 Universal 6 pin set consist of 2 keys, medium and high cuts. 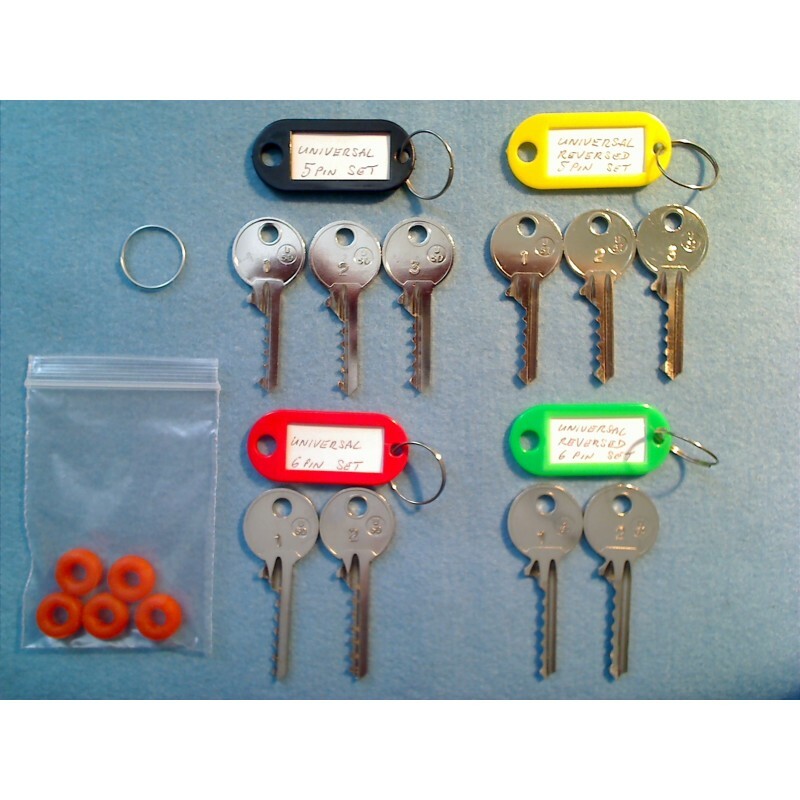 Universal 6 pin reversed set consist of 2 keys, medium and high cuts. 3 = High (used for locks with shorter key pins, pins can be as long as a 7 pin.